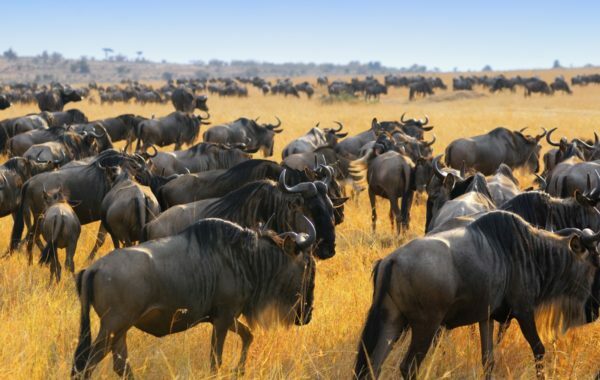 See three of the most spectacular natural phenomena on earth in one expertly-planned trip: the Great Migration in the Serengeti, the vast Ngorongoro Crater and the colossal Victoria Falls. Cameras at the ready, jaws prepared to drop – on this 11-day adventure you are faced with stupendous spectacle after stupendous spectacle. This is a suggested itinerary which can be tailored to your preferences and can change with the season to ensure you get the best possible wildlife viewing. 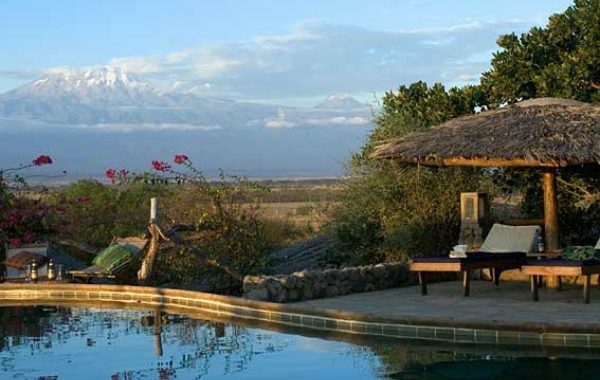 Contact a Tanzania Specialists travel advisor now to discuss your options. 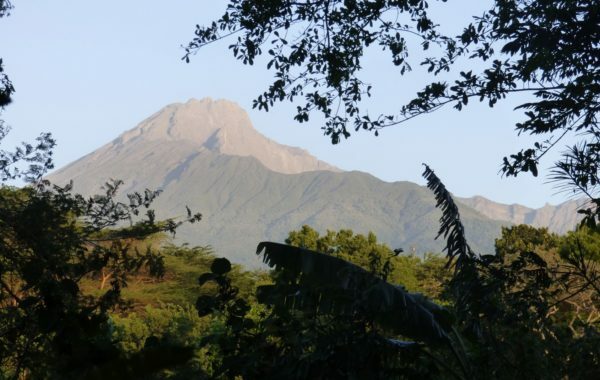 Arriving at Kilimanjaro Airport you'll be met by a Tanzania Specialists guide for a 40 minute private transfer to Rivertrees Country Inn situated in a former coffee estate just outside the bustling safari town of Arusha. Upon arrival you'll have some time to unwind after your journey, take a dip in the pool and enjoy your first evening meal in Africa. An unpretentious lodge nestled in the foothills of Mt. 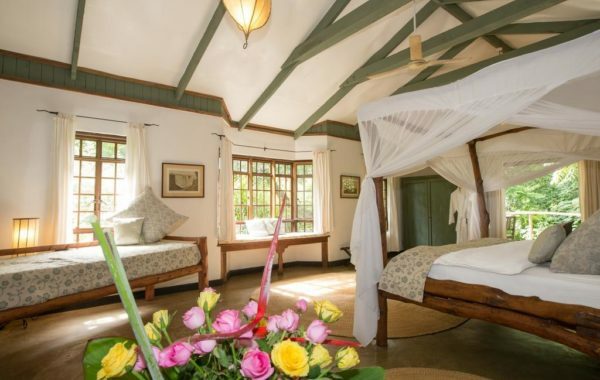 Meru with a majestic view of Kilimanjaro, Rivertrees Country Inn offers a friendly welcome, absolute comfort, and delicious home-cooked cuisine with garden-fresh ingredients. 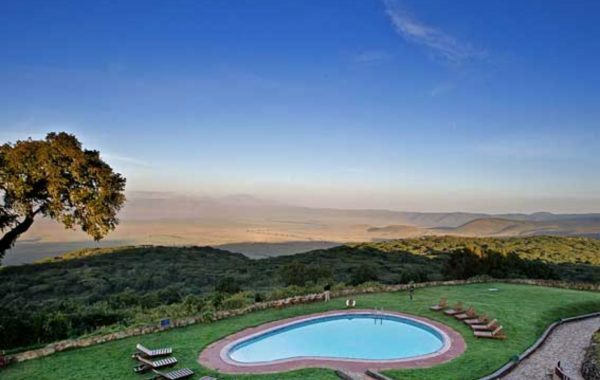 After breakfast you'll take a roughly two to three hour drive to Lake Manyara National Park. 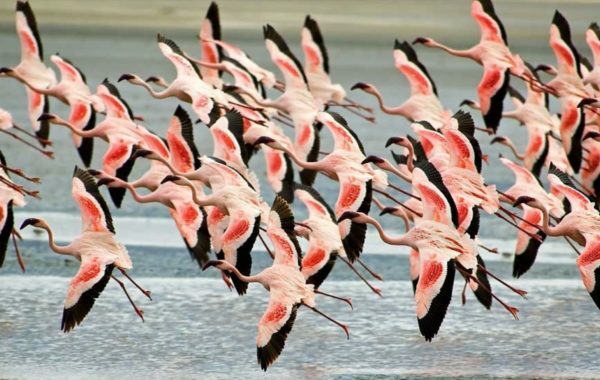 The park is small but excellent for bird life including flamingoes, plus a variety of other wildlife. 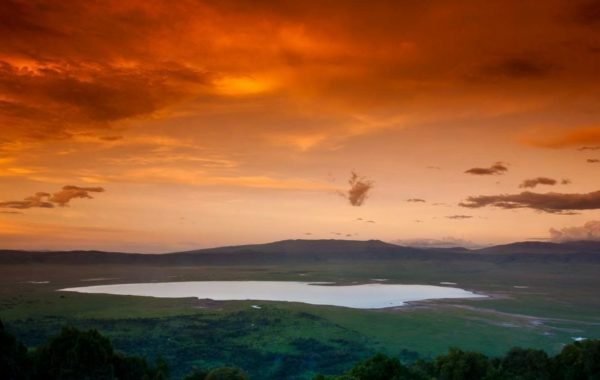 You’ll have a game drive in the park, with picnic lunch, before heading to Ngorongoro Sopa Lodge in time for dinner – and that sunset view over the crater. Sopa Lodge is just a few minutes from the crater, so you’ll be among the first to descend the 600m to the crater floor this morning. 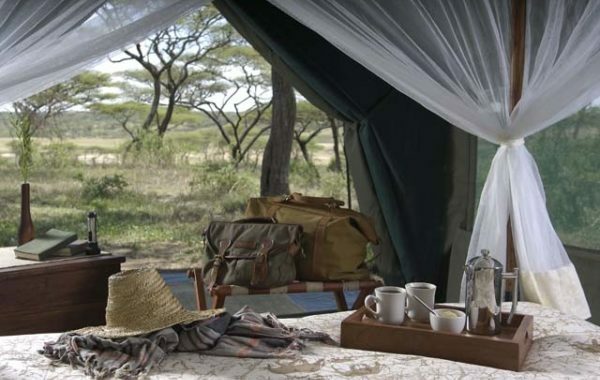 You’ll spend six hours here, picnicking and game watching in this vast volcanic caldera, before your driver heads to the southern Serengeti short grass plains, to your home for the next four nights, the beautiful Kirurumu Serengeti Ndutu Camp. 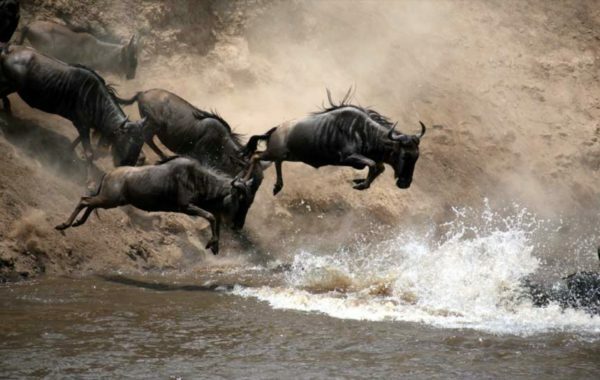 Three days of astonishing game viewing now follow, with morning and afternoon game drives in the heart of the migration in the southern Serengeti plains. You’ll either picnic in the park or return to the camp for lunch. At night, enjoy splendid dinners cooked over the camp’s fire and star gazing in those endless skies. Your last chance to get photographs of the migration, with a final game drive in the Serengeti. In the late afternoon your driver will take you to Ndutu Airstrip for the one-hour flight to Kilimanjaro Airport. You will be met on arrival and driven the five minutes to KIA Lodge. Here you will have dinner and rest for a few hours before being transferred back to the airport for an overnight flight to Nairobi and on to Victoria Falls. KIA Lodge is a simple place with no pretence. It is the only lodge at Kilimanjaro airport, so without doubt the best option if you arrive very late or need to depart in the early hours. You will be met on arrival at the airport this morning, and transferred to the colonial elegance of the Victoria Falls Hotel. Take time to rest after your early start and take in the splendour of the hotel – it’s a destination in itself! 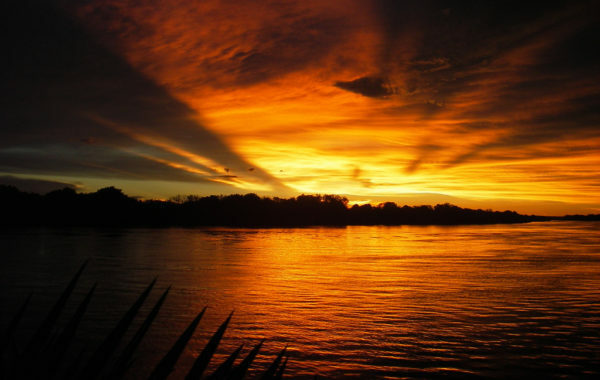 In the evening, toast your arrival in Victoria Falls with a sundowner during the sunset cruise on the Zambezi. 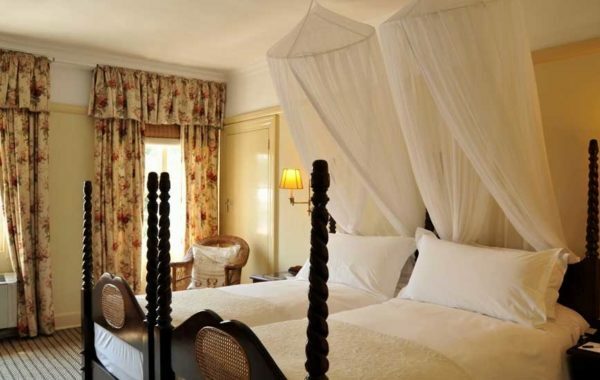 The Victoria Falls Hotel evokes the glamour, style and sophistication of a time gone by. The location, just a 10 minute walk along a private pathway from Victoria Falls themselves, makes this a very special place to stay. You have two full days here, plenty of time to enjoy the views of the Falls from the hotel garden, and to get up close to the thundering spectacle – perhaps take a ‘Flight of the Angels’ by helicopter over them. Shop for traditional crafts in the town, go white water rafting - or bungee jumping, if you’re feeling adventurous. If you’re missing the game drives, you also have the option of crossing into Botswana, for a day in Chobe National Park. Speak to a Tanzania Specialists travel advisor for options to customise this portion of the itinerary. 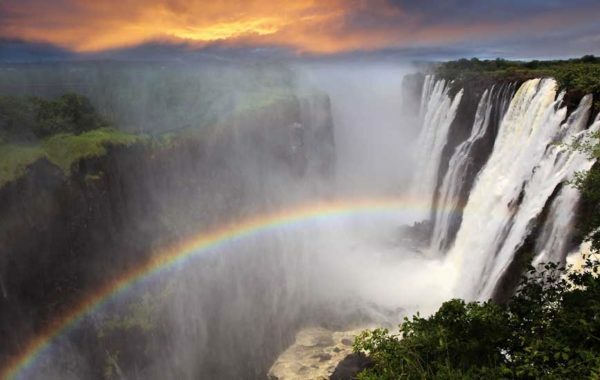 Today you bid farewell to Victoria Falls, as your driver takes you to the airport for the flight back to Nairobi and your onward journey home. You will have amassed memories for a lifetime on this remarkable trip – and, we suspect, thousands of photographs! Wonderful arrangements, great support, extremely nice and friendly people in Tanzania. A perfect holiday. I can't think of enough superlatives to describe it, but everything surpassed our expectations. Six nights in carefully selected tented safari camps and hotels, specially chosen for comfort, quality, and to maximise your chances of seeing the wildlife. All meals at the safari camps and other meals as detailed.